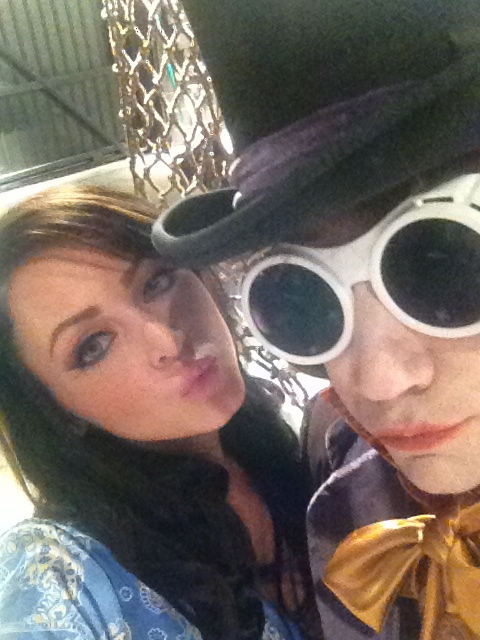 CULVER CITY, Calif., - Rising starlet Kirsty Hill is set to make an eye-popping appearance in Sony Pictures' upcoming The Hungover Games , a parody mashup of Hollywood's mega-blockbusters "The Hangover" and "The Hunger Games", out March 11th on DVD/Blu-ray and VOD. Hill co-stars with a talented ensemble that includes Tara Reid ("American Pie") Jamie Kennedy ("Malibu's Most Wanted"), Jonathan Silverman ("Weekend at Bernie's"), Ben Begley ("NCIS: Los Angeles"), Ross Nathan (Bollywood's "English Vinglish") and Herbert Russell ("Law & Order", "Robot Chicken") with appearances by Bruce Jenner, Hank Baskett, Robert Wagner, Kayden Kross and "Real Housewives of Beverly Hills" stars Kyle Richards, Brandi Glanville and Camille Grammer. "I've been working towards this opportunity for years, and can't believe how lucky I am to be able to act alongside people I have admired for years," said Hill. "2014 is shaping up to my best year ever!" The Welsh-born blue-eyed beauty will also appear in Danny Glover's new comedy "Bad Asses" and Marlon Wayans' upcoming spoof "A Haunted House 2", both out later this year; Hill is currently in Los Angeles shooting the dark thriller "Criminal". 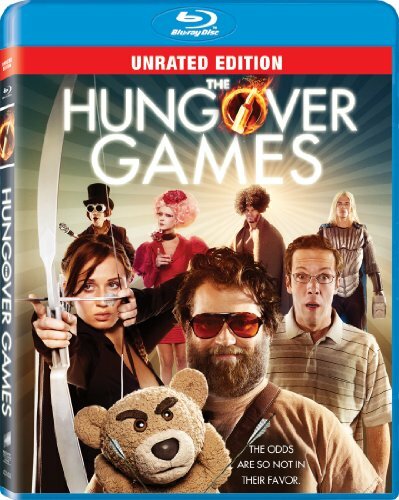 The Hungover Games DVD/Blu-Ray includes over 20 minutes of bonus content including 'Go Deep Inside "The Hungover Games"', behind-the-scenes footage, plus exclusive interviews with the cast and hilarious gag reel. Synopsis: After celebrating Doug's upcoming wedding in a cheap hotel in Laughlin, Nevada, our hungover party-ers, Bradley, Ed and Zach, wake up in a strange room in an even stranger world... and without their pal Doug. After meeting the haughty and flighty Effing and the gruff, alcoholic Justmitch, the trio soon realizes they are on a train car headed to The Hungover Games. On the way, the men must face a harrowing assortment of Pop Culture Districts, including The Superhero District, The Middle Earth District, the Puppet District, and the Johnny Depp District. The Hungover Games , written by David Bernstein, Kyle Barnett Anderson and Jamie Kennedy marks the directorial debut of Josh Stolberg. Producers are Ash R. Shah, Ben Feingold, Jim Busfield, Steve Small and Jamie Kennedy. The film's run time is approximately 85 minutes. The DVD/Blu-ray is Unrated. The Unrated and R-rated versions will be available on Digital and VOD.